Technology is advancing so rapidly across all industries that it is hard to keep up with the latest thing, and weddings are no exception. Everything from communication with clients to new options in entertainment and décor is evolving rapidly as a result. Below are some of the latest tech wedding trends to watch. Simple photo booths that issue strips of static images are out. The newest booths boast more engaging features like green screens and Boomerang or gif formatting, both of which have become highly popular on social media, especially Instagram. Couples love giving their guests a fun experience while simultaneously collecting priceless real-time images and short videos of their wedding day and loved ones via their social media platforms. Everybody from the couple of honor to the youngest guest has a cell phone at a wedding. Recognizing this, hosts are either fully embracing that and incorporating hashtags, photo scavenger hunts and other challenges into their itineraries, or they are rebelling against them completely. Some may ask guests to abandon their phones upon arrival at their wedding and honor the importance of the day by going tech-free. 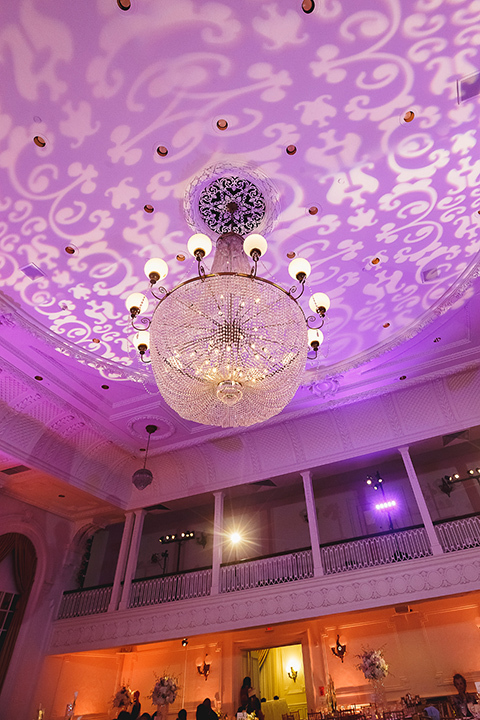 Technology has revolutionized the event lighting industry. We can now control lights through apps via cell phone. The rise of video mapping has changed the way that lighting designers use their tools to create atmosphere in a room, as well. It is much easier, now, to create ambience by designing custom graphics that can be projected on practically any surface. Until recently, neon signage was prohibitively expensive for personal use and reserved primarily for businesses to identify their storefronts. It has become more affordable and accessible lately, and as a result, more popular for personalizing weddings. While it is versatile, it particularly complements another of this season’s hot trends, the 80s Retro theme. One of the more unique tech trends at the moment is silent disco. Using light-up headphones and multiple DJs, guests are giving a choice of three or four “channels” to listen to while dancing. On a single dance floor, there could be people dancing with each other but listening to completely different songs simultaneously. It is the ultimate in personalization and a unique, custom guest experience. On the business side of weddings, client communication is going through some major tech-related changes as well. Email is on its way out as clients express their preference for app-based messaging using sites like WhatsApp. Businesses will need to adapt to meet their clients and prospects where they are if they want to stay relevant and competitive. It is impossible to understate the growing influence of technology on the wedding industry today. We are poised to witness that impact increase exponentially with time, and are excited to see awaits us in the future!